This fixes the problem while still having VDPAU hardware accelleration. 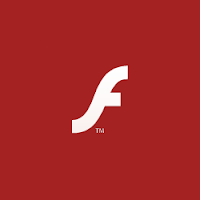 Unfortunately there probably won't be a new Flash version to fix this without this manual config-hack because the Flash version that introduced this bug is also the last Flash version Adobe will release for Linux. This fix, fixes the issue with the blueish tint, but can cause instability. If you are suffering from instability one option is to disable hardware acceleration (no ideal when dealing with HD). To do this load a flash video and right click on the video and click Settings and then un-check Enable Hardware acceleration.